사재 안처순(1492∼1534)이 중종 13년(1518)에 구례현감에 제수되어 떠날 때, 동료나 친구들이 이별을 아쉬워하며 써준 송별 시문을 모아 하나의 첩으로 엮은 것이다. 안처순은 고려시대 성리학을 처음으로 소개한 안향의 9대손으로, 예문관검열, 홍문관박사와 구례현감 등의 벼슬을 거쳤다. 이 수필첩은 안처순이 세상을 떠난 후인 선조 36년(1603)에 김인후의 발문과 함께 첩으로 만들어졌고, 순조 29년(1829)에 조인영에 의해 전라감영에서 다시 제본한 것이다. 총 3면에서 50면에 이르고 있는데, 수필첩 끝에는 총 24명의 명현들의 성명, 호, 관직 등이 간략하게 수록되어 있다. 이것은 조선 중기의 정치사상사 및 서지학 등 학술연구에 귀중한 자료이다. 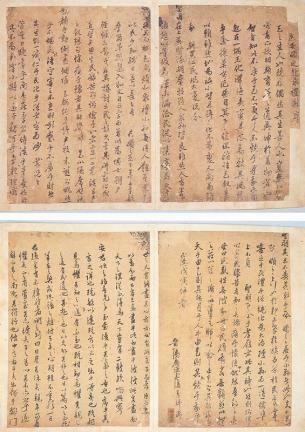 Gimyo jehyeon supil is a compilation of farewell poems written by colleagues and friends of An Cheo-sun (penname: Sajae, 1492~1534) when he left them to assume the position of Magistrate of Gurye in the 13th year of King Jungjong’s reign (1518). 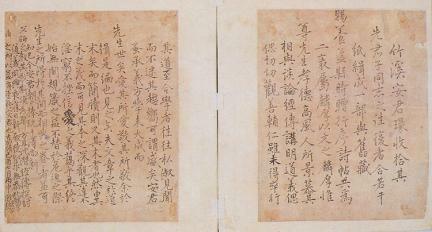 An Cheo-sun was the 9th descendant of An Hyang, who introduced Neo-Confucianism during the Goryeo Dynasty. He assumed several government positions over the years such as Yemungwan geomyeol (Diarist of the Office of Royal Decrees), Hongmungwan baksa (Counselor of Special Advisers), and Magistrate of Gurye. 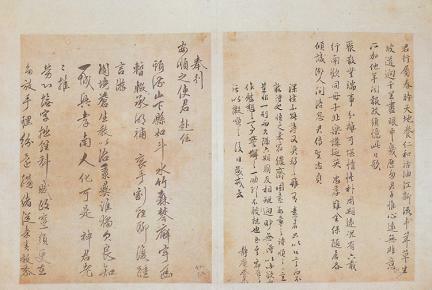 This collection of essays was made in the 36th year of King Seonjo’s reign (1603) along with the epilogue written by Kim In-hu after An Cheo-sun passed away; it was bound again by Jo In-young at Jeolla gamyeong (Jeolla-do Provincial Office) in the 29th year of King Sunjo’s reign (1829). It consists of 3-50 pages and has a concise list of the names, pennames, and government positions of 24 famous figures on the last page of the essay book. 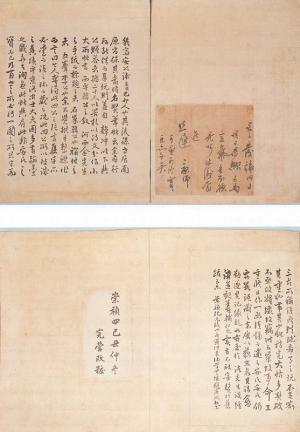 This book is considered to have high academic value in studying political ideology and bibliography of the mid-Joseon Dynasty.